TAMPA — The former law firm of St. Petersburg attorney Mark Stopa declared bankruptcy Tuesday, marking the end of one of Florida’s biggest and most controversial foreclosure defense firms. The petition by Stay In My Home P.A., estimates the number of creditors — the people and businesses owed money by the firm — at between 1,000 and 5,000. 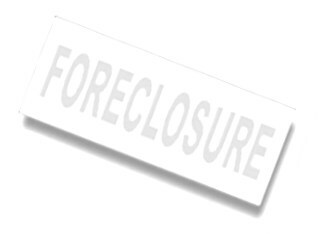 It includes the names and addresses of hundreds of individuals from all over Florida, apparently homeowners who had hired Stopa’s firm to keep them from foreclosure. Filed in U.S. Bankruptcy Court in Tampa, the petition estimates the firm’s assets at $50,000 to $100,000 and its liabilities at $100,000 to $500,000 — though those figures could be revised as the case proceeds. The petition was filed under Chapter 7 of the federal bankruptcy code, commonly known as a liquidation bankruptcy. That means assets are sold to pay creditors. Typically, most creditors are paid only cents on the dollar, if they receive anything at all. Attorney Richard Mockler, who took over Stopa’s practice in July and signed the petition, notified some business creditors by email on Tuesday. In a motion filed in a North Florida foreclosure case last month, Mockler had warned that a bankruptcy filing was imminent given the chaos that had beset the firm. The problems began this spring when a judge acting as referee in a Florida Bar case against Stopa recommended he be suspended for a year because of professional misconduct. However, he had not yet been suspended when Mockler took over his law practice and 4,000 pending cases. At that point, "there was no reason to think (the practice) wasn’t salvageable,’’ Mockler told the Tampa Bay Times. Then came an emergency suspension of Stopa for continued misconduct and a Florida Department of Law Enforcement raid on his offices. The firm’s computers were seized and accounts frozen, leaving no way to make payroll, Mockler said. Most of the attorneys and staff quit. Stay in My Home, P.A. , formerly known as Stopa Law Firm, is being represented in the bankruptcy case by Tampa lawyer Scott Stichter. Neither Stopa nor Mockler could be reached for comment. In the application for a warrant to search his law offices, a state agent said Stopa was under criminal investigation for alleged equity skimming, a type of mortgage fraud. Among other things, the warrant said, Stopa used shell corporations to get title to clients’ homes, then rented them out while fighting the foreclosure case.